The Ferrari 248 F1 is a Formula One car, designed by Aldo Costa and Rory Byrne for the 2006 season. The car was named after its V8 engine: 24 is the capacity in decilitres, and 8 the number of cylinders. The name broke the F200x system used from 2001 to 2005, and returned to a system similar to that used in the 1950s and 1960s (cf. Ferrari 312) but they did revert to the previous system the following year with the F2007. 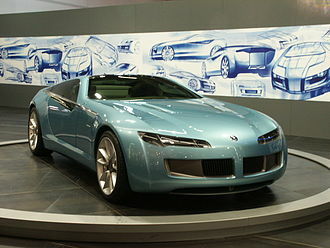 The 248 model was driven by race drivers Michael Schumacher and Felipe Massa. 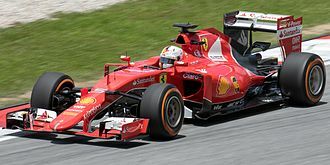 The 248 F1 was the first Ferrari since the F1-2000 not to wear the number one, denoting that the driver is world champion. The car also featured new sponsor decals such as Martini. This was also Vodafone's last year of sponsorship for the Scuderia as they announced that they would switch to McLaren Mercedes as title sponsor. Ferrari used 'Marlboro' logos in Bahrain, Malaysia, Australia, Monaco, China and Japan. The car was an update of the previous year's F2005. Although the V8 engine is shorter than the V10 used in the F2005, the wheelbase is actually the same, reported to be 3,050 mm. 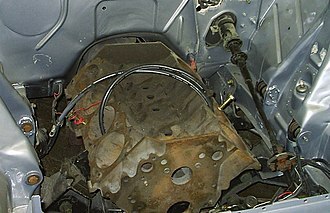 The wheelbase was retained via a new longer gearbox casing. The 248 F1 is the last Ferrari Formula One race car to use the single keel technology. Some notable features of the new model are the rear view mirrors, which are now mounted on the edge of the sidepods of the car rather than conventional position beside the cockpit. At the start of the season the car featured a triple plane front wing. After the first three races, it was replaced by a twin plane wing, in order to generate more airflow to the underside and diffuser. Revised rear bodywork was introduced for the French Grand Prix, with a more waisted lower body around the exhausts. The engine has been reported to have had a power output of 730 bhp (544 kW; 740 PS) at the start of the 2006 season, but modifications throughout the year boosted the power to around 785 bhp (585 kW; 796 PS) by the season's end. Michael Schumacher driving the 248 F1 at the 2006 Canadian Grand Prix. The car performed well in qualifying at the season opener, the Bahrain Grand Prix, with an all Ferrari front row. 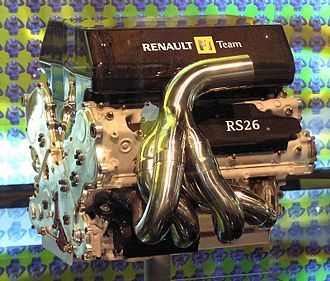 However the performance of the car was generally not as fast as the Renault R26 in the first half of the season. At the Malaysian Grand Prix, the car suffered significant technical problems - a piston problem meant that both drivers had to change their engines during the weekend, incurring qualifying penalties, and for the race the engine speed was limited to prevent a failure. 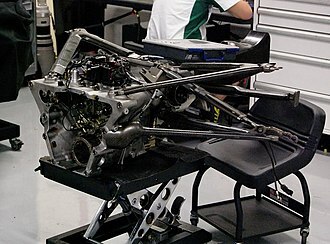 This problem continued to affect the car for the Australian Grand Prix. An aerodynamic upgrade introduced for the San Marino Grand Prix brought the pace of the car to approximately level with the Renault. At the United States Grand Prix, in Indianapolis, Ferrari were dominant all weekend, resulting in the first Ferrari one-two finish since the same race 12 months beforehand. This seemed to represent a genuine turning point for the car's competitiveness. Modifications throughout the season continued to improved the car's performance, to the point where it was considered the fastest package of all for the remainder of the season - the car won 7 of the last 9 races of the season. 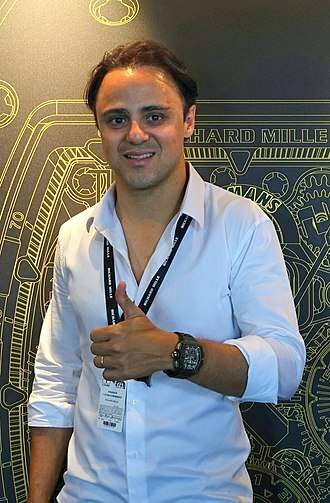 Massa claimed his maiden win at the Turkish Grand Prix and later won his home race in Brazil. As a result of the car's improved form, Ferrari and Schumacher were able to close the gap to Renault and Fernando Alonso in their respective championships. However, Schumacher suffered an engine failure while leading the Japanese Grand Prix which effectively ended his title hopes and Ferrari eventually lost out on the Constructor's title by only 5 points to Renault. 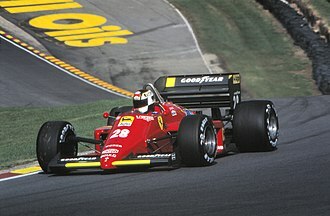 Overall, the car gave Ferrari 9 race wins and 7 pole positions, and second-place finishes in both the Drivers' and Constructors' World Championships. The 248 F1 was used in testing prior to the 2007 season, and was the first Ferrari Formula One car which new Ferrari driver Kimi Räikkönen drove, in a test on 23 January 2007 at the Vallelunga circuit. 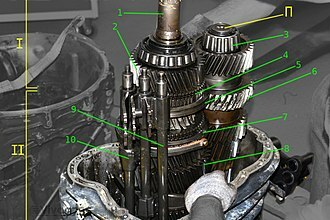 Wikimedia Commons has media related to Ferrari 248 F1. The 2006 Canadian Grand Prix was a Formula One motor race held on 25 June 2006 at the Circuit Gilles Villeneuve in Montreal, Canada. The 70-lap race was the round of the 2006 Formula One season. Räikkönen subsequently finished in position, completing the podium for the McLaren team. Alonso had now taken six wins and three places from the first nine races. There was problems at the start of the race when the two Midland cars collided at the hairpin on Lap 1, before Juan Pablo Montoya. 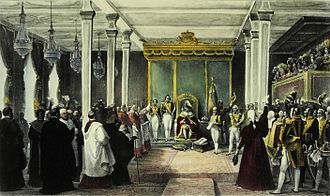 Rosberg retired, whilst Montoya continued until he collided with a in the race. 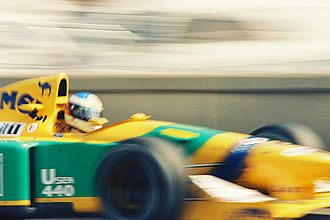 Schumacher was stuck behind Jarno Trulli for a proportion of the race before he finally managing to overtake him, although. With just a handful of laps left the safety car was out for a time when home-town hero Jacques Villeneuve crashed into the wall because of brake failure. 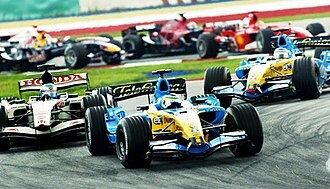 Räikkönen, who was 2nd in the snake of cars behind the safety car, was unable to take advantage of closing up to Alonso due to the presence of back-markers in front of him and he eventually lost the position to Schumacher. Ferrari 312 is the name of several different Ferrari race cars which have 3 litre 12-cylinder engines. 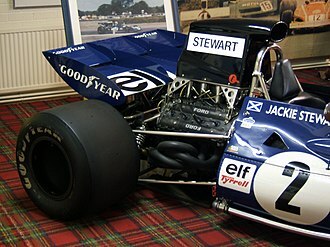 This article is about the Formula One car raced in 1966–1969, other cars with the same model number include the 312B, 312T F1 cars and the 312P and 312PB sportscars. The Ferrari 312 was the designation of the 3 litre V-12 Formula One cars raced by the Italian team from 1966 to 1969, designed under the leadership of Mauro Forghieri, there were two distinct variations using this designation, the 1966 version and the completely different 1967-69 version. The 66 cars carried on the numbering sequence from the previous years 1.5 litre cars. To avoid confusion, the cars are referred to as 312/66. For the 1966 Formula One season, there was a change in the technical regulations, the F1 teams, even though asking for the return to power, were more or less surprised and not well prepared. Ferraris first 1966 car consisted of a 3. 3-liter V12 engine that was taken from the Ferrari 275P2 sportscar prototypes, modified to 3000cc, the designation 312, which would be used for a number of cars, indicated a 3-litre, 12-cylinder engine. The engine was rather heavy, and due to the capacity, lower on power. John Surtees drove this contraption unsuccessfully in Monaco while Lorenzo Bandini drove a Ferrari Dino 2. 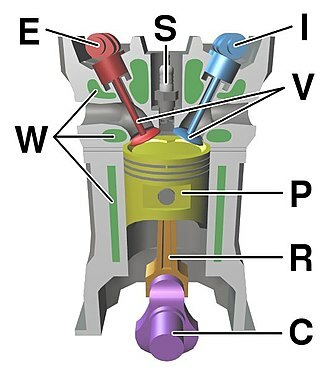 4-liter V6. Surtees won the race, the 1966 Belgian Grand Prix, a track that favoured power with its long straights. The issue was about priorities in racing, as Ferrari was under pressure from Ford in sports car racing, Mike Parkes replaced Surtees, who went to Cooper which used Maserati engines, to finish second in the driver championship with a further win. For Ferrari, Ludovico Scarfiotti won a race, the 1966 Italian Grand Prix at Monza which helped Ferrari finish second in the Constructors Championship, in 1967, the team fired Dragoni and replaced him with Franco Lini. Chris Amon partnered Bandini to drive a somewhat improved version of the 1966 V12 car, at the 1967 Monaco Grand Prix, Bandini crashed and suffered heavy injuries when he was trapped under his burning car, several days he succumbed to his injuries. 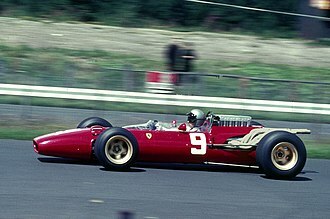 Ferrari re-hired Mike Parkes, but Parkes suffered career-ending injuries weeks at the 1967 Belgian Grand Prix, a fatal crash, another bad crash, no race win, and only 5th in the Constructors Championship marked a bad year for the Italians. The 2006 Bahrain Grand Prix was a Formula One motor race held at the Bahrain International Circuit in Sakhir, Bahrain on 12 March 2006. 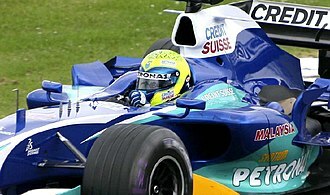 The 57-lap race was the round of the 2006 Formula One season. 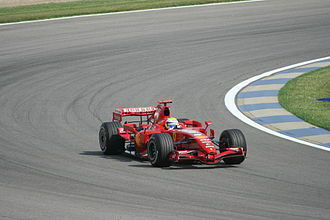 It was won by the 2005 World Champions, Fernando Alonso, ferrari driver and polesitter Michael Schumacher began his final season in Formula One with second position. Kimi Räikkönen completed the podium after he finished in place with the McLaren team. The race was the first Grand Prix for future world champion Nico Rosberg, son of World Champion Keke Rosberg and it was the debut race for the BMW Sauber, Toro Rosso, Midland F1 and Super Aguri teams, and drivers Scott Speed and Yuji Ide. The bottom six teams in the 2005 Constructors Championship and Super Aguri were entitled to run a car in free practice on Friday. These drivers drove on Friday but did not compete in qualifying or the race, the race was the first run under the new 2006 qualifying rules, in which the one-hour session is split into three knock out parts. 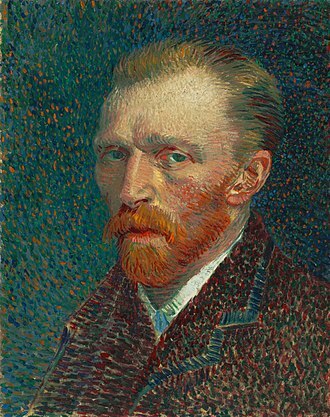 The second part saw fewer surprises, with the runners lining up for the final top 10 part. 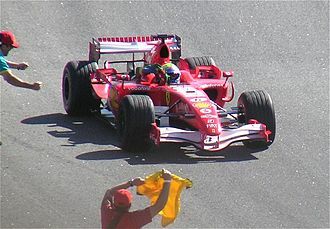 The result was that the Ferraris swept the front row, at the start of the race, Fernando Alonso moved up to second in the first lap, only for Michael Schumacher to begin to pull away. Alonso was involved in a collision with Schumachers teammate Felipe Massa. Massa was never a threat after this point, not helped by a delay in his pit stop to change tyres the same lap, alonsos teammate Giancarlo Fisichella played little part in the race due to an engine mapping problem which restricted power. 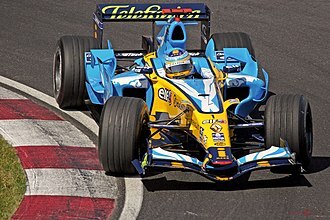 He retired on the 21st lap due to hydraulic failure, to the surprise of few, Kimi Räikkönen quickly moved his way up the field, only being delayed by Jacques Villeneuve and Fisichella for a short period of time, before passing both men. Further down the field, Nick Heidfeld and Nico Rosberg, who was making his Grand Prix début, both men were significantly delayed, but recovered. 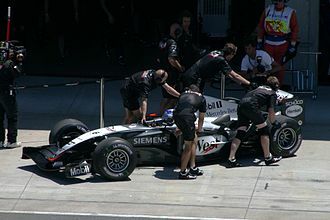 Heidfelds day continued to get worse, as an incident with David Coulthard was investigated after the race, Juan Pablo Montoya finished 5th in his McLaren, having never been a threat throughout the race. Martini & Rossi is an Italian multinational alcoholic beverage company primarily associated with the Martini brand of vermouth and with sparkling wine. It produces the French vermouth, Noilly Prat, the company started in the mid-19th century, as a vermouth bottling plant in Pessione — the Distilleria Nazionale di Spirito di Vino. 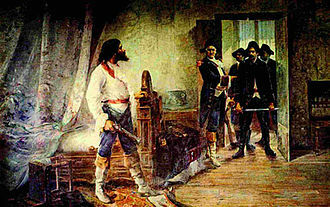 Three men came to dominate the company, businessman Alessandro Martini, winemaker Luigi Rossi and accountant Teofilo Sola, the Sola family sold out in 1879, and the company became known as Martini & Rossi. 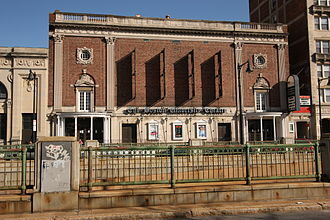 1892 – The business is taken over by Rossis four sons,1929 – The Martini Ball & Bar logo is registered for the first time. 1930 – Rossis grandsons take over control of the company,1977 – The company is restructured with the creation of the General Beverage Corporation. 1993 – Martini & Rossi merged with Bacardi, since the earliest days of the company, Martini have marketed their products aggressively, with some memorable TV advertising and sponsoring events under their MARTINI Terrazza logo. Jenson Button out-qualified his Honda teammate Rubens Barrichello and took the eighth place on the grid. Nico Rosberg qualified in sixth place but retired on the first lap of the race. Fernando Alonso during his pole position lap. Michael Schumacher qualified his Ferrari 248 F1 in fifth position. Nico Rosberg qualified third in only his second race. Giancarlo Fisichella led at the start of the race. Jenson Button pouring champagne on Giancarlo Fisichella during the podium ceremony after the race. Home driver Franck Montagny driving for Super Aguri. It would be his last outing for the team in the 2006 season. 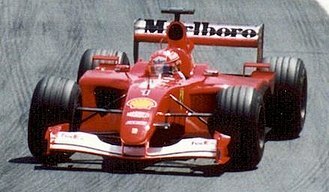 The race was won by Ferrari's Michael Schumacher. Michael Schumacher's Ferrari is returned to the pits after an engine failure cost him the race lead, and handed Fernando Alonso a ten-point advantage in the Drivers' Championship with one race remaining. Noilly Prat is the company's French brand of vermouth.